(MoneyWatch) Recently I was talking with a tax preparer about the volume of tax returns he has to prepare and file before the filing deadline in a few weeks. He mentioned that so many of his clients want to get their tax returns prepared and filed by the April deadline, even if it means scrambling on a tight deadline to find missing information. I asked, "Why not file an extension for clients who have not given you complete tax information by now?" Doing so would give him more time to complete their tax returns and file after the deadline. Although he would prefer to do that, he said most of his clients are against filing an extension because they believe that doing so increases the chances of an IRS audit. First, there's no evidence that filing for an extension can make your return any more susceptible to be selected for an IRS audit. It's actually a good idea to file an extension especially if you need more time to do a thorough job preparing a tax return. 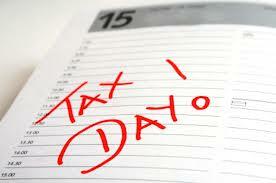 Better to file an extension and later file a correct tax return, then do a rush job and file a tax return with errors. You received income from the sale of property, exercise of stock options or cancellation of debt. You may need more time to gather your records and get advice as to how to report. You own investments or partnerships where income is reported on a form K-1. Typically these forms are sent out in March or April, so you probably have not yet receive these. Many financial institutions send corrected forms 1099 with revised amounts for qualified dividends and foreign taxes. Taxpayers with investment income from financial accounts may want to file an extension if they typically receive a corrected form 1099 from these accounts. Finally, If your tax preparer is really backed up and you need some time to discuss your taxes with him, then ask him to file an extension now. This will give him more time to finish your return later when he can give it his full attention and do a more thorough job. Filing an extension is free. For your federal income tax return, you can log onto IRS.gov and file for free. Also, most states have this feature available on their web sites. You'll need to also make a reasonable estimate of taxes you owe and submit a payment with the Form 4868, which gives you an automatic six month extension until October 15th to file your final tax return. When you file your federal tax returns on extension, you'll also need to file an extension for your state tax return as well. If you don't file a tax return or at least an extension by the April 15th deadline, then you'll owe IRS penalties and interest.